A life sized horse statue with Headless Horseman is the ultimate Halloween or haunt display prop! 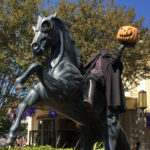 This prop is a life sized horse statue with Sleepy Hollow’s most infamous resident as its rider – the headless horseman himself! This horrific horse sculpture is a powerful showpiece designed to get press and impress your haunt or event patrons. This life size prop is for sale as a display for Halloween, haunts or trade shows, so drop us a line to discuss having us build one for you or your company. We make all of our custom props to order, usually completely custom, so we can often work in requests from the client. 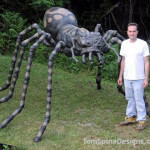 The life sized creation shown in the pics stands approximately 8 feet tall. 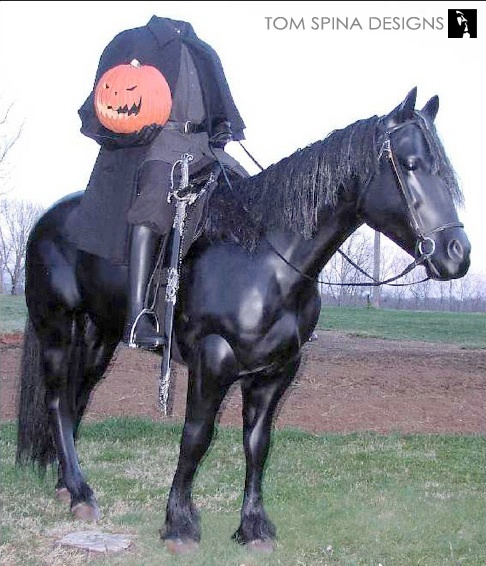 The Horseman mannequin is semi pose-able and comes dressed in period costume complete with gauntlet gloves and knee high riding boots. The fiberglass horse features a mane and tail of synthetic hair for added realism and a genuine leather English saddle and bridle. We’ve made these for sale in the past and they make a great prop for a trade show or event… or to be sure your haunt or Halloween event are unforgettable! 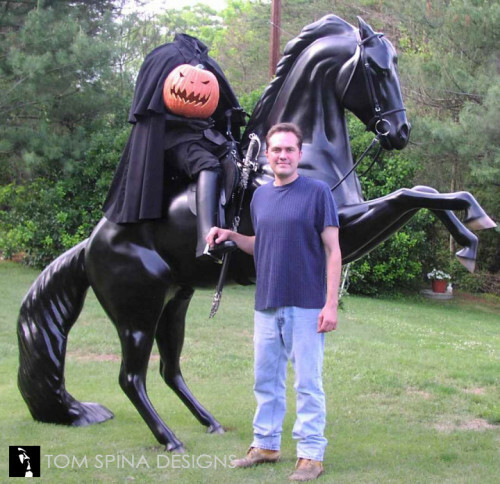 Speaking of custom, we had a client request their life sized horse statue with Headless Horseman be made rearing on its hind legs, and you’ll see pics of that one in the gallery as well! Want to add one of a kind custom props to your next event or display? Email or call today and let’s discuss your project! 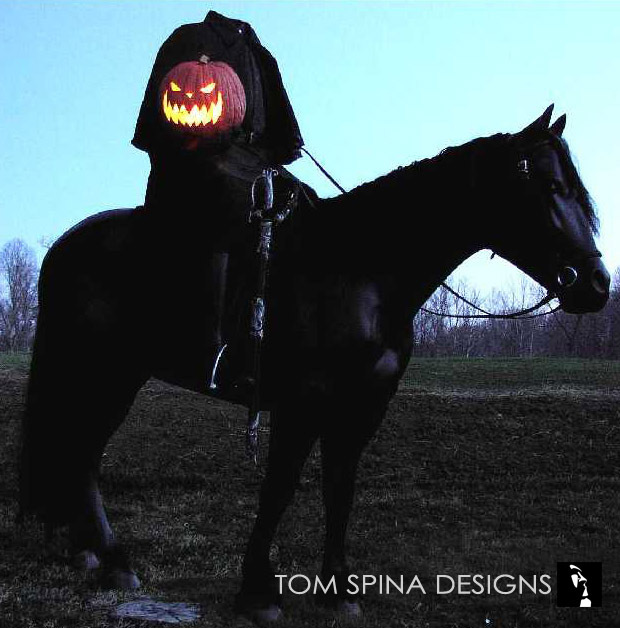 We loved the Tim Burton take on Sleepy Hollow! You can download it today and watch!